Stunning photographs of outstretched pure white bird wings with gilding. 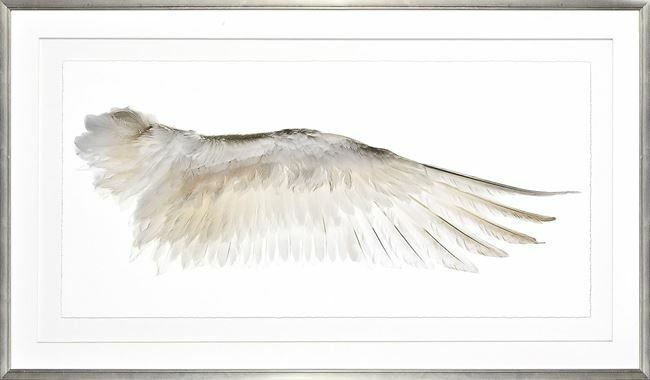 These stunning photographs of outstretched pure white bird wings will soar above any decor. Each has torn edge, raised image , and raised matte.